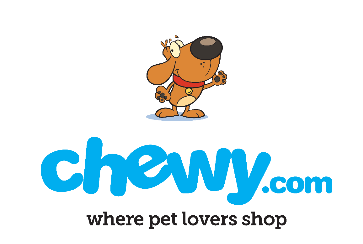 Its a new month which could only mean that Anna and Bailey have a new product to review from their friends at Chewy.com! 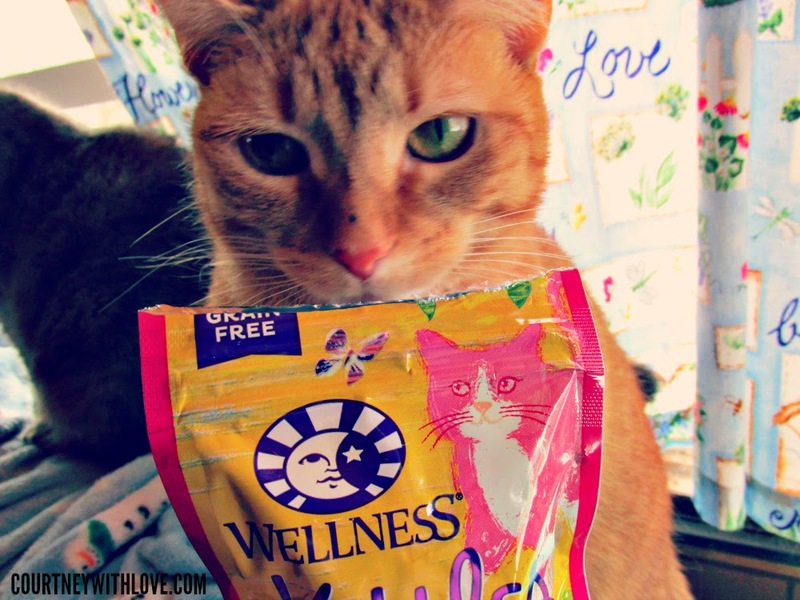 This month they have been busy trying out the Wellness Kittles Grain-Free Salmon & Cranberries Recipe Crunchy Cat Treats. 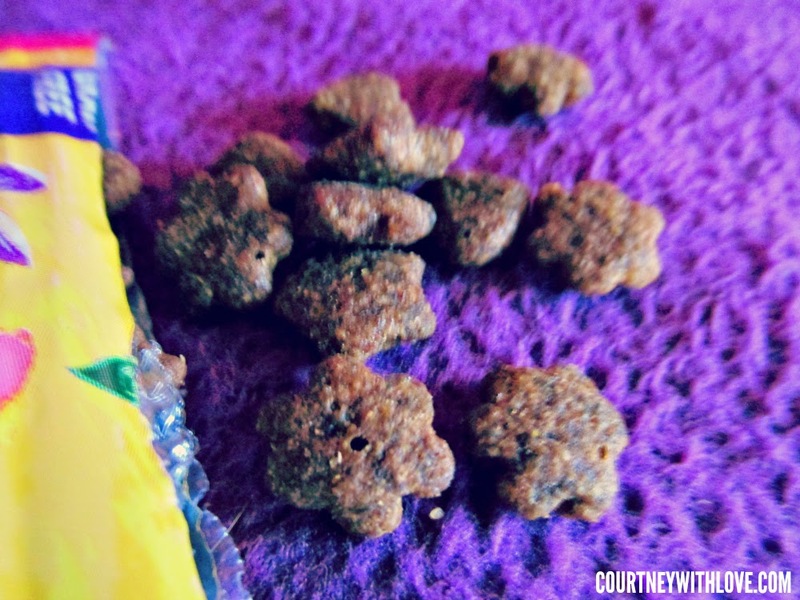 As I have mentioned many times, I like to give my cats treats in moderation to give them a bit of change from their normal daily dry cat food, and I use them as a way to play with them and get them moving. Both Anna and Bailey love to have a cat treat tossed across the floor, and they go running for it! I gathered both Anna and Bailey in their napping spots and opened up the bag. Immediately they both rose to their feet... errm, paws. Just the crinkle of the bag gets their curious minds going! I let each one take a good whiff of the bag, and that was it. Both were trying to reach their paws over to grab the bag and dig in! I grabbed a few treats, and split them between both cats. They each dove right in! I could smell the treats, and they do have a very potent salmon smell. I did my test of holding the bag open in front of them, and both Anna and Bailey stuck their noses in the bag to try and pull out their own treats. I honestly was shocked that they liked the treats as much as they did. About 6 months or so ago I tried giving them treats that had blueberries in it, and they completely turned their noses. 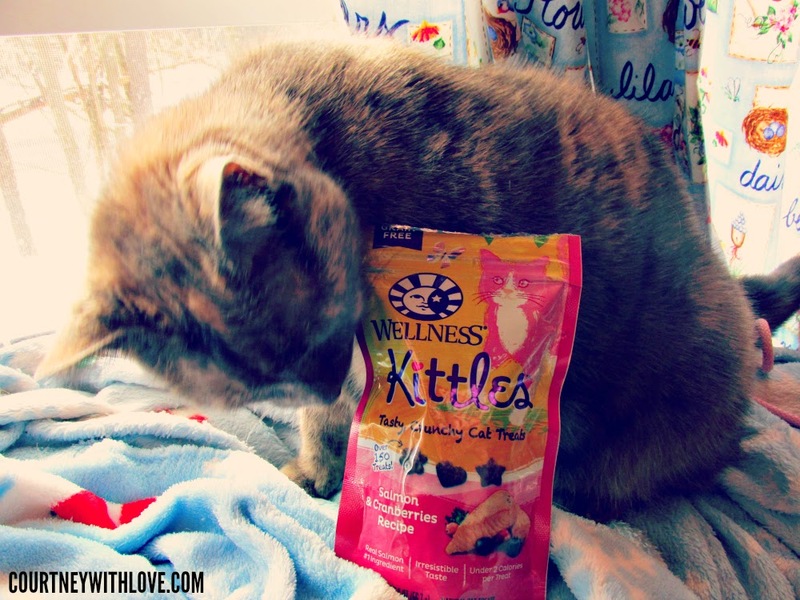 I am very glad to see that they went crazy over the Wellness Kittles! They have been crunching on these for 2 weeks or so now, and they are quite pleased! Anna has even taken the liberty of trying to sneak up to where I keep the bag of treats, and help herself! I swear, cats are just as bad as children! 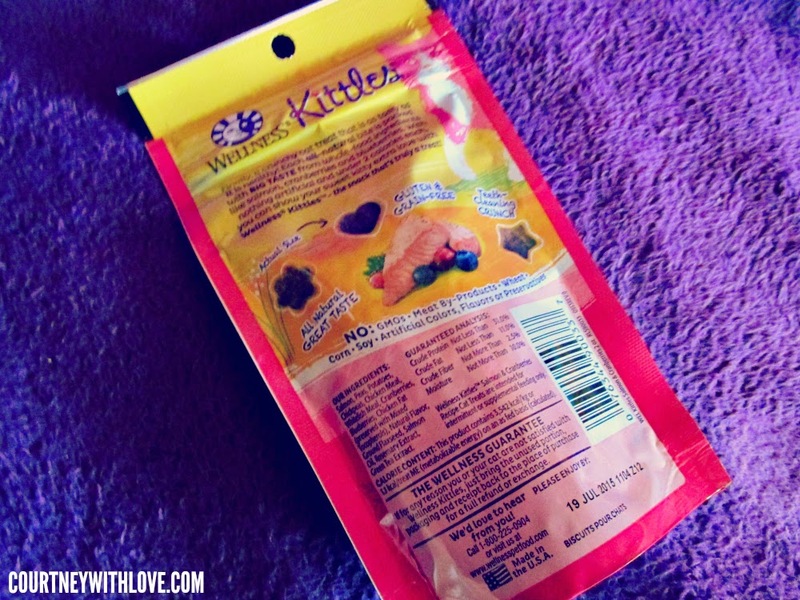 The Wellness Kittles are a big hit in my home, and I'm sure they will be in yours as well! 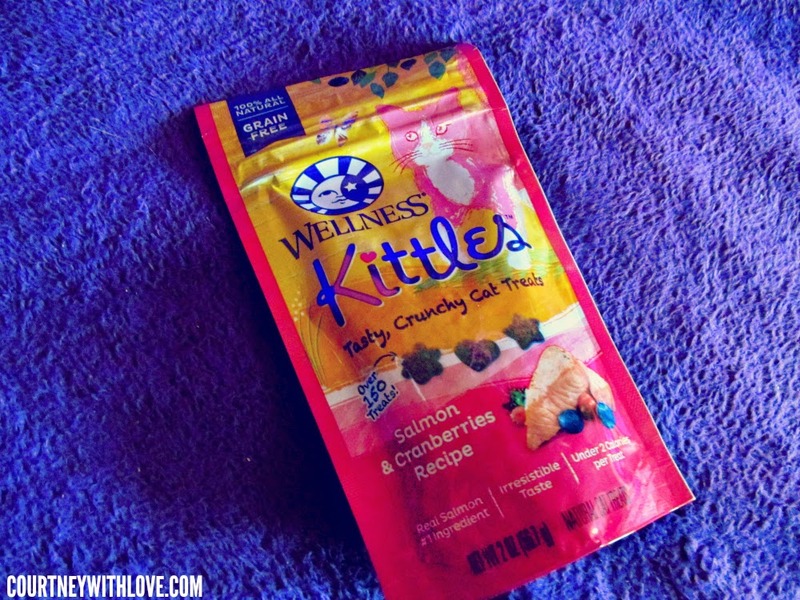 So what is the rating that Anna and Bailey give the Wellness Kittles from Chewy.com? 5/5 paw rating!